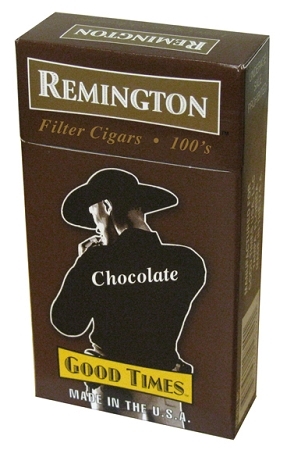 One Carton Remington Filtered Cigars Chocolate 100 Box. 200 Filtered Chocolate Cigars made in the USA to add to your enjoyable experience. These mild cigars have a very pleasant chocolate flavor. Excellent quality and flavor. Great delivery as well.